$39.95 In stock. Order in the next 19 hours, 54 minutes and it will go out today! In stock. Order in the next 19 hours, 54 minutes and it will go out today! If you are looking for magic that visually just POPS, that you can do on instagram or for a video, or in a split second of visual magic, look no further. This gorgeous, well-made gimmick allows you to find three selected cards using a pack of gum in a surprising way. Three cards are chosen and lost in the deck. 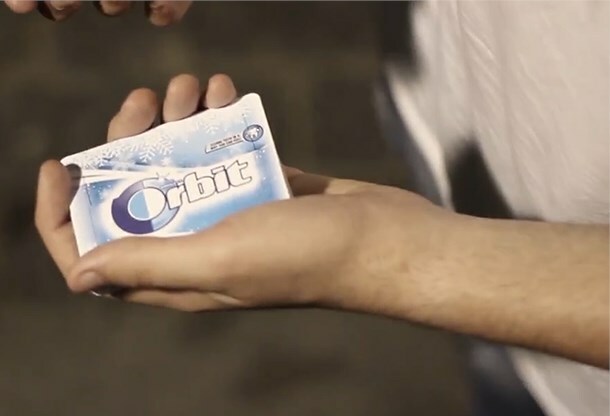 After a magical pass, the cards vanish from the deck and travel into a pack of gum. 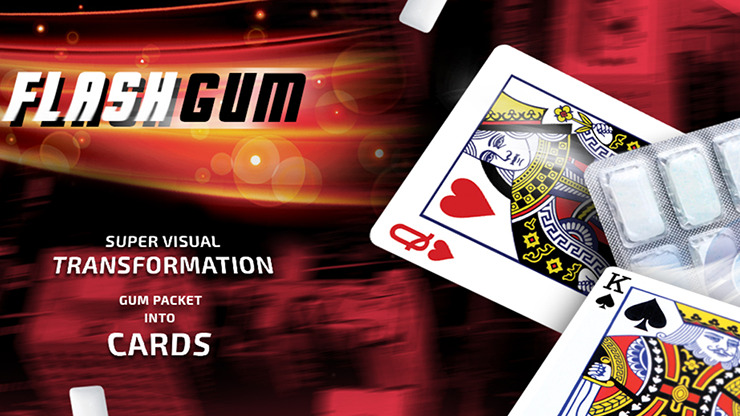 The first card appears visually on top of the gum packet. In the second phase, the whole packet visually morphs into the other two selections. Flash Gum looks like real magic. Best of all, the gimmicks are always ready to go at a moment's notice, taking only a few seconds to reset. 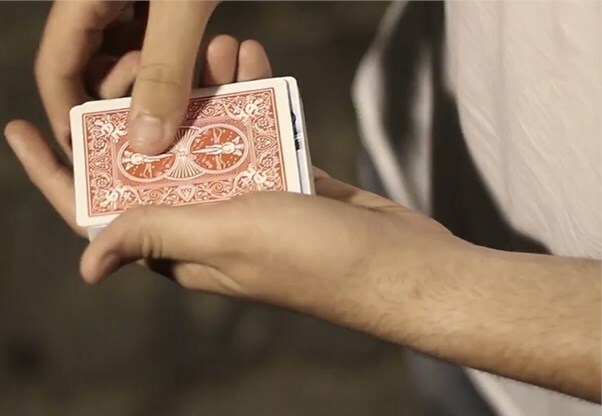 This truly looks like real magic! 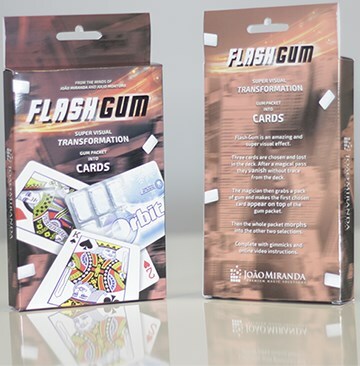 Get Flash Gum now, and get ready to astonish your audience with a casual, yet very powerful, visual illusion.